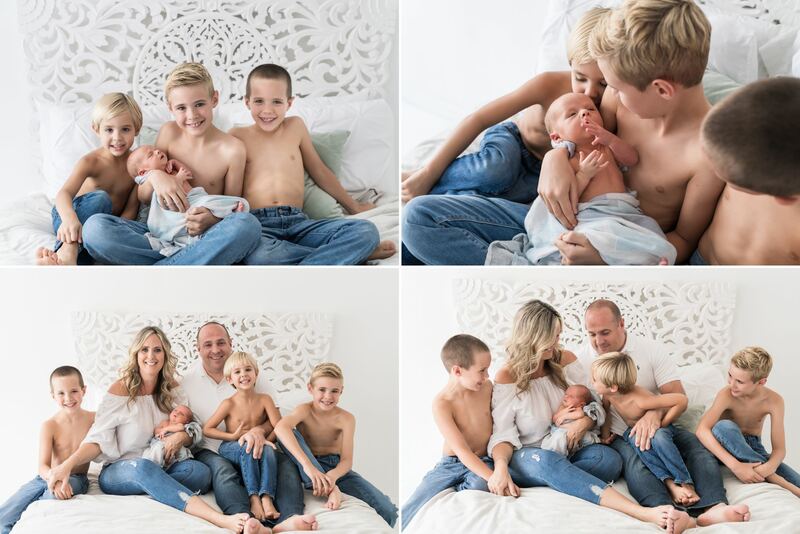 This Wesley Chapel family’s newest arrival is a baby boy, one of 4 boys! I was so excited when this mama approached me for her newborn and maternity session. You see, I had photographed her last baby when he was one year old and now her newest arrival was just as cute. But the best part was that he was their fourth son- all blonde and sweet. They came to the studio to have their portraits taken and we had a fun time together. 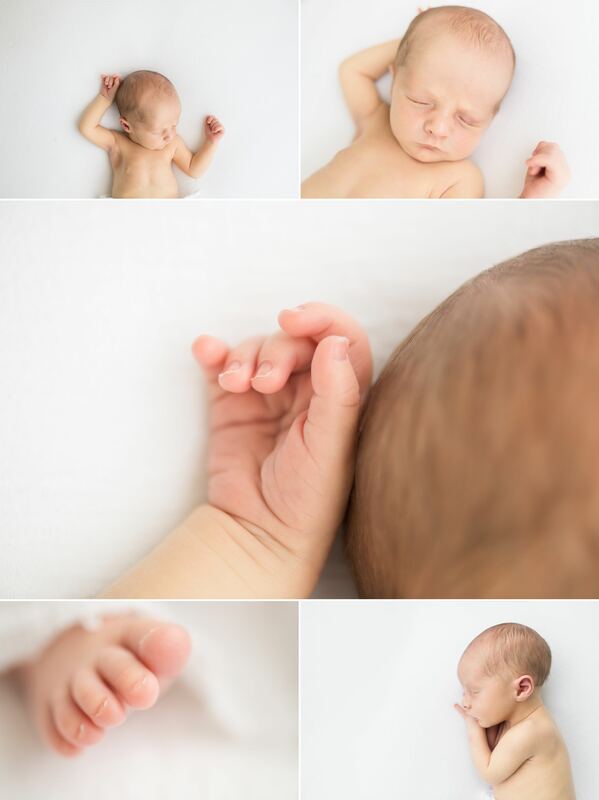 I love the images that we took and all the variety we have from their newborn portraits. 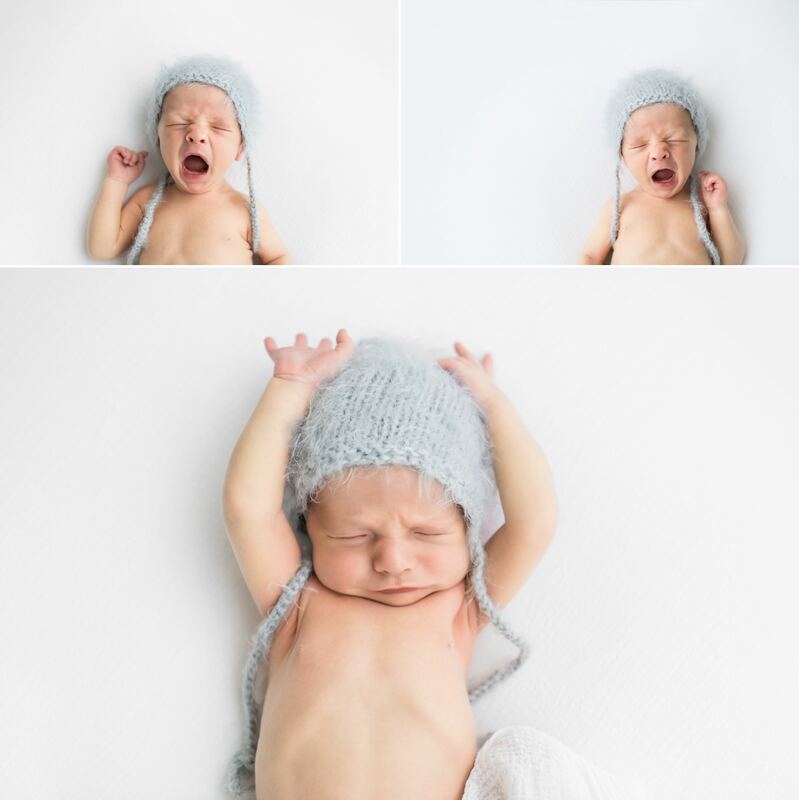 I mean how sweet is this little yawn? I adore everything about this hat as well. She brought this little outfit and it was beyond soft and fuzzy and sweet. She also brought a heirloom baby blanket that we gently tucked around his adorable little body. But I think my favorite images are of their family, all loving on their little brother and son- this family is sweet and so caring. I love to see their connections to each other. I adore how these images turned out and I loved getting to see this family again- they were so much fun. 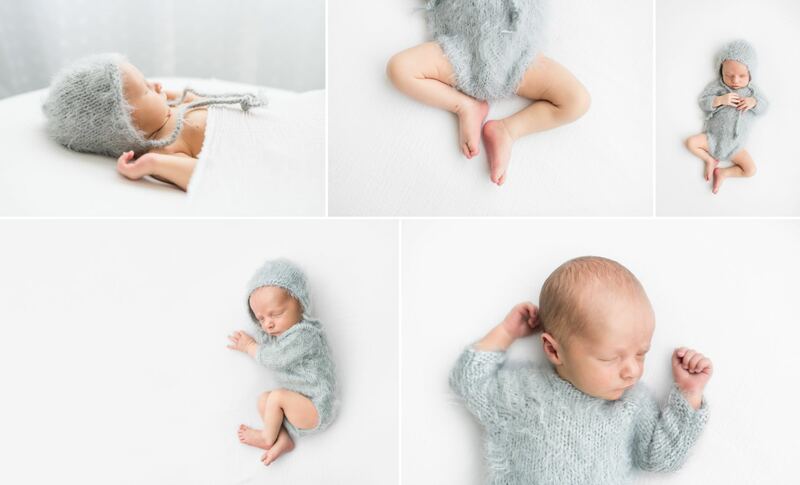 Interested in a newborn session? Lets get started!